Having first come to the island with my parents as a newborn in the summer of 1966 it’s safe to say that, over five decades, I have accumulated as great a love for Fishers Island as anyone. When I think about the various places that I have called “home” over all of my years, only one of them has been my home for my entire life: Fishers Island. As Mr. Rogers famously said, “You’re not just the age that you are, you are all the ages you have ever been.” That quote is particularly true to my experience on Fishers Island, and to my interest to serve in a meaningful way the island community that I love. Whether as a young child on the island trying to grow up, an adolescent needing to grow up, a young adult growing his family, or as a full grown, island property-owning adult, my collective experiences provide perspective that relate to many others’ on the island. Not just seasonal residents, but hopefully all Fishers Islanders. Given the unique dynamics, structure and objectives of the Island Community Board, to function as a true voice of the island community, amidst the many constituencies involved, I believe my experience positions me well to serve. Whether as a professional or through philanthropic board participation, I have enjoyed the opportunity to serve various communities and organizations over many years. I hope that I can now serve the Fishers Island community as a member of the Island Community Board. Richard “Dicky” Riegel is the founder & CEO of travel company Airstream 2 Go, LLC, the exclusive, factory-authorized source for rental Airstream trailers and tow vehicles. 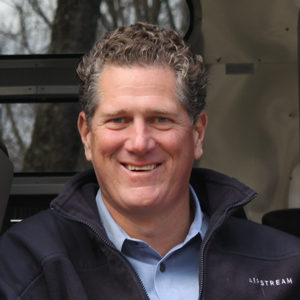 Prior to founding Airstream 2 Go, he served in several positions from 1998 through 2012 at Thor Industries, Inc., the world’s largest recreation vehicle manufacturer, including as its Chief Operating Officer, and as President & CEO of Airstream, Inc. Before joining Thor, Riegel developed marketing expertise during a 9-year career in advertising. Dicky has a Masters of Business Administration degree with a concentration in finance and marketing from Columbia Business School.  He earned an undergraduate degree in Art and Architecture from Middlebury College after graduating from Salisbury School in CT.
Dicky is a Global Advisory Board member of Vibram, SpA, the legendary producer of shoe soling and finished shoes. He serves on the RV Industry’s Go RVing Coalition, PR Committee and China Committee, and is Vice Chairman of the Board of Trustees of Salisbury School. 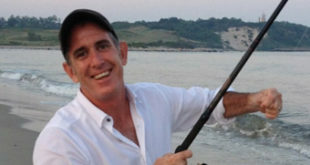 He is an avid skier, golfer, hockey player, fisherman and automotive enthusiast, and lives on Fishers Island and in Westchester County, NY with his wife Amanda and their two children.